In a dystopia full of genetically modified humans, unaltered Sienna Preston stands out. She’s nothing like her seventeen-year-old peers. But when her father dies and she’s swept into the ranks of a rebel group, her world will never be the same. What lies in store for the unaltered Sienna? 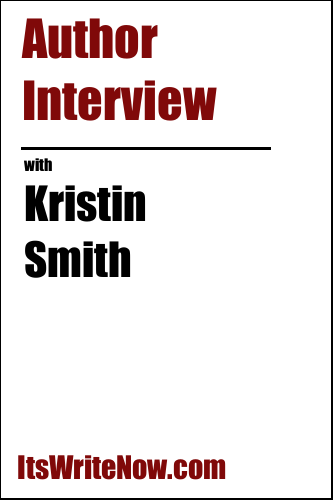 To find out, Kristin Smith, author of Catalyst (The Deception Game #1) has kindly set aside some time to chat about what’s in the landscape of this genetically modified dystopia. Kristin, what thoughts initially led to you creating this dystopian world and Sienna’s role in it? The idea for this story came to me in a dream. Granted, it was only a spark of an idea, but it led to a lot of “what if” questions. “What if there was a society of genetically modified individuals?” “What would be some of the dangers of that kind of society?” “What if there was an unaltered teen mixed in with genetically modified peers?” “What if people were matched according to their genetics?” And from these questions, a story was born. There are some heady questions in the mix there, which I’m sure lead you down the research path. What do you felt was the most important thing that you learnt by answering these questions through your own ideas or research you’d done and then transforming them into this tale? Well, it took several tries to get it right, so I definitely learned patience and the art of revising. 🙂 But, seriously, no book is perfect after the first draft. It takes many, many rounds of revisions until it’s worthy of publication. I quickly learned the importance of revising and revising until you just can’t anymore (even if it means rewriting the entire book—which I did, by the way). Does the idea of revising, revising and revising some more ever exhaust you? Or do you find yourself energised by the ability to continue refining your words? Honestly, sometimes both. When I’m engrossed in a story I’m writing, I find it hard to concentrate on anything else. I don’t want to eat or sleep or even leave my house. I become somewhat of a hermit, lol. When you’re so invested in something, it starts to wear you down, so it can be exhausting as well. But when I’m on fire and the words are pouring out, it’s the best feeling ever. What do you think about as those words are pouring out? Do you focus on a single aspect like the characters, the audience, or the story? When I’m writing, I see the story unfolding in my mind, almost like watching a movie reel. So, I’m super focused on that. In addition, I’m thinking about my characters and their reactions and whether or not they feel authentic. Is that authenticity of the characters the most important thing that you want to share with your readers if your book, or do you feel that the authenticity makes another aspect more important? And if it’s something else, can you share a little bit more about your ideas? Perfection isn’t everything. We need to embrace who we are and how we look and stop wishing we could change ourselves to look or act or be more like someone else. We are all beautiful in our own, unique way. Never forget that. I love the honesty of embracing who you are! And I for one, hope that you’ve taken the time to embrace your love of writing by kicking off another writing project. Are you working on something new, and what can you share about it with us today? I just finished writing a sweet but emotional YA contemporary. It has a talented young artist and a geeky Dorian Gray-quoting boy, and it deals with love, loss, hope, and overcoming tremendous obstacles. That does indeed sound like a very interesting mix. I can’t wait to see it hit the shelves in the future! I think the combination of characters and ideas in that project confirms that you’re confident mixing things up to get awesome results, so let’s do a little mixing of our own today by adding a few quirkier questions to the pot. Let’s get brewing with one of my favourites, what happens if Batman gets bitten by a vampire? He would use his new superhuman strength instead of his cool gadgets and mounds of money to save the people of Gotham. But if he’s a new vampire and smells the scent of blood… uh oh, you better watch out! *Laughs* We might need to be saved by him instead! I wonder who could save us from Vampire-infused Batman. Superman perhaps, but I think that’s a question to answer another day! Today, let’s find out what’s your favourite word. What’s your contribution? Facetious. I had a teacher in 7th grade who used this word all the time when scolding the children who were misbehaving. It kind of stuck with me, lol. I’m not sure that would be my word of choice for misbehaving children, but since it stuck with you I think it did its job! We’re almost at the end of our job chatting about books today, but can you leave us with a final insight into the pages of Catalyst by sharing your favourite line from it? Perhaps I’m trying to find that place, the one that exists on the cusp of death where life makes more sense. Where things seem clearer. Here’s to a clearer vision of the world! Kristin, I’ve had a lot of fun dipping into this dystopian adventure with you today, and I can’t wait to hear more about how it unfolds in the future soon! Excited to read the book we discussed today? Find it here on Amazon: ‘Catalyst (The Deception Game #1) ( ASIN: B01KWIR25A )‘. Want to find out more about Kristin Smith? Connect here!